Carol Robinson and Rongming Wang signed the new MOU on behalf of IMBeR and ECNU on 20 October 2016 at ECNU, Shanghai, China. 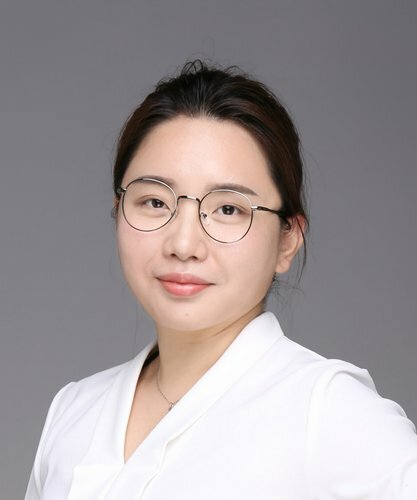 Back row from left: IMBeR SSC member Ying Wu, Xiuzhen Li, Vice Director of SKLEC,Subin Wang, Deputy Director of the International Exchange Department of ECNU, Gro van der Meeren, Executive Officer of IMBER IPO and Yi Xu IMBeR RPO Deputy Executive Officer. 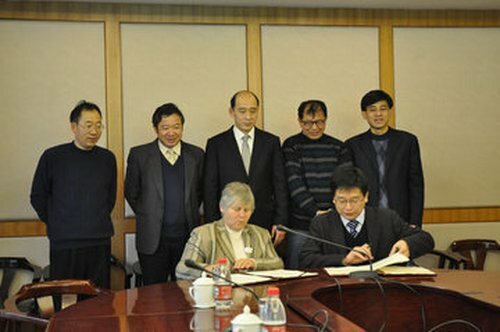 Eileen Hofmann (IMBeR SSC Chair 2010 - 2015) and Ziqiang Zhu (Vice-President of ECNU) signed the MOU on behalf of IMBeR and ECNU in 2013. 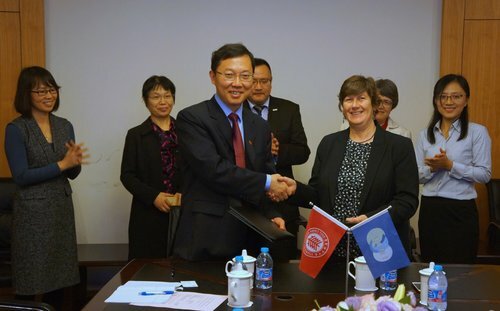 Julie Hall, Chair of IMBeR SSC (2004-2009) and Chen Qun, Vice-President ECNU signing the MOU to establish the IMBeR Regional Project Office at ECNU in 2010.